I found this recipe in the pages of a Woman's Weekly magazine when I was about 16. 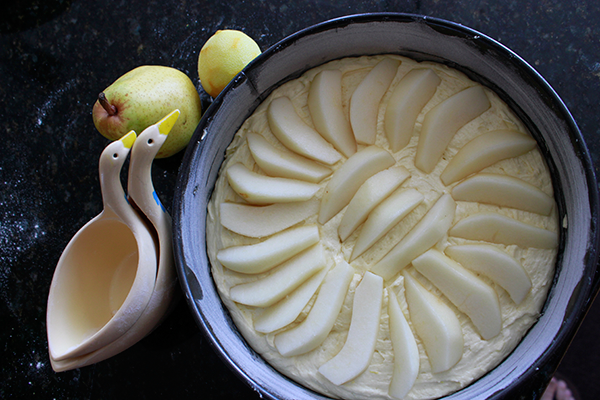 I use pears in this recipe - but apples work well too. This is one of Peter's favorites, and quick and easy to make (Jane). 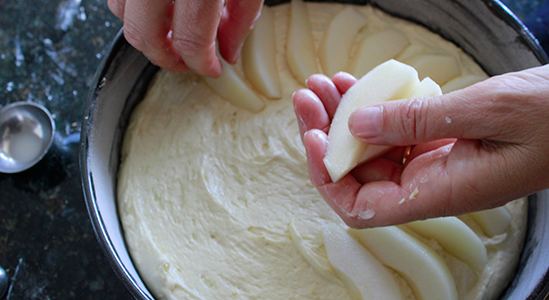 ​The pears and the lemon rind are the key ingredients here. 1. Cream butter with sugar and lemon rind until soft and fluffy. 2. Add eggs one at a time and mix well. 3. Fold in flour and baking powder and add milk to give a soft dropping consistency. Spoon into prepared cake tin. 4. Peel pear. Cut into quarters. 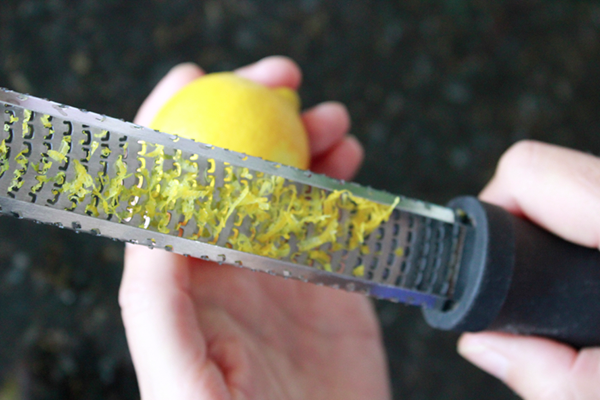 Remove seeds and slice each quarter long ways into 3 equal size pieces. Place slices on top of cake. 5. Bake in center of oven pre-heated to 350 degrees F and cook for about 50 - 60 minutes. I love cakes with fruit. Using fruit in season is always best. 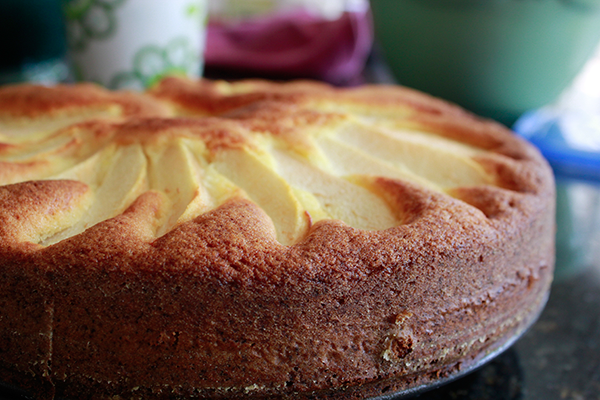 This cake also works with Granny Smith apples. You'll need 2 - 3 apples depending on their size. The original recipe calls for a glaze to be brushed over warm cake. I'll do this for a special occasion but the cake is great without it. Glaze: dissolve 1 teaspoon of gelatin in 2 tablespoons of boiling water. Stir in 2 tablespoons of apricot jam and brush glaze onto warm cake.